For this project I had to make a menu for a high end restaurant(fictional restaurant). The restaurant i used was Greek based. 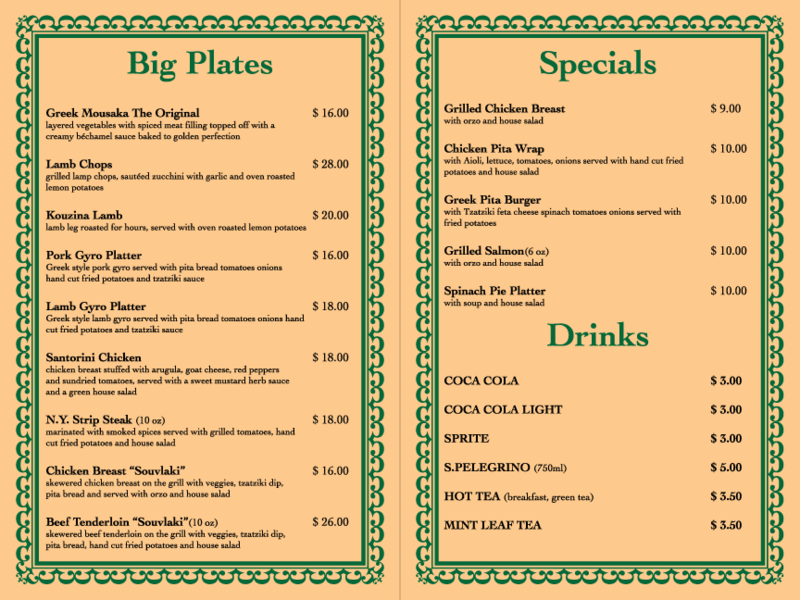 I researched different Greek menus from other restaurants for the pricing, descriptions and names. 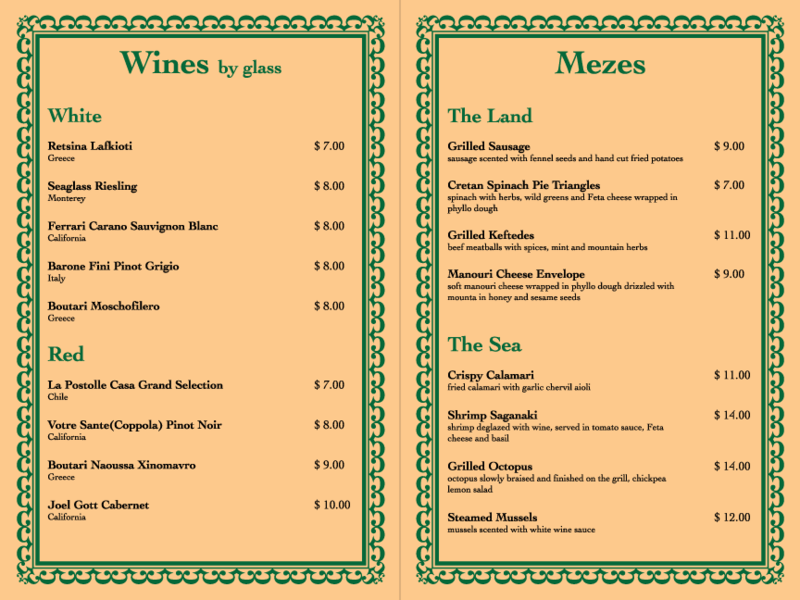 I wanted the menu to reflect Greek culture and the restaurant itself. I chose to use earthy tones to reflect the culture as well as tie in the outdoors feel. 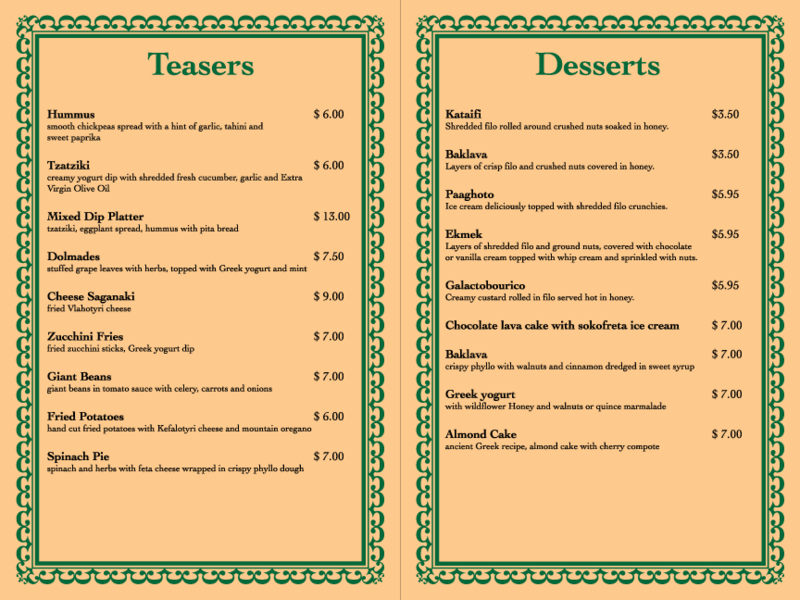 The menu was made of 6 interior pages and a cover page, in a spread format. It is printed on textured paper with twain as the binder.